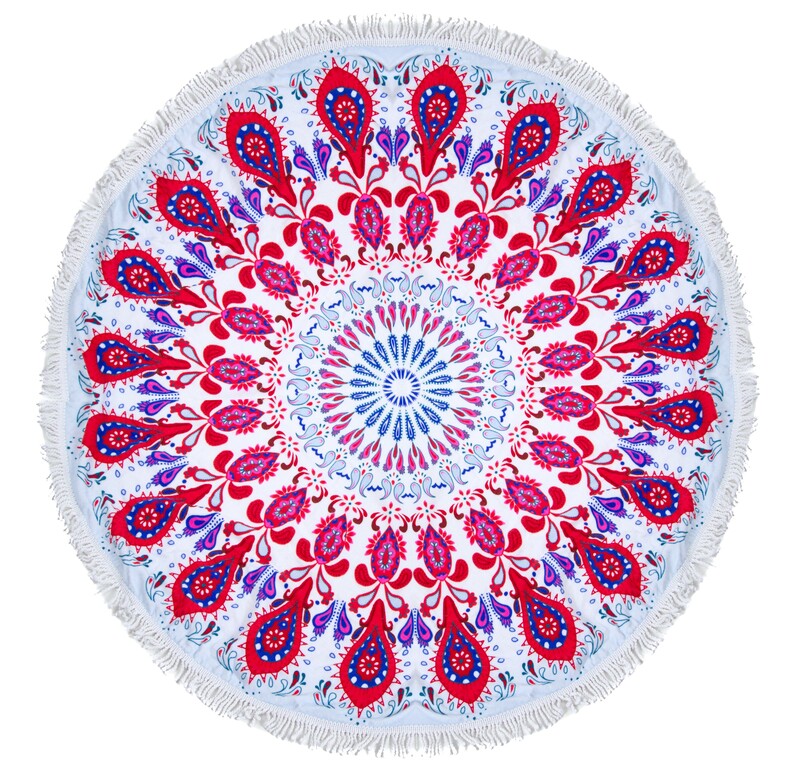 Leisureland's round beach towels are the perfect accessory for a day at the beach or by the pool. Made with 100% polyester microfiber terry, they are thick and soft, ideal for drying off after a relaxing swim. These towels measure 59" in diameter; a great size for most individuals. Featuring vibrant prints and fringe tassel trim, these are excellent for gifts and everyday use!